At our Brooklyn law firm, we understand how a devastating injury can have long-term effects on a person’s quality of life. This is especially true when injuries result in the loss of movement of body parts, such as in the case of spinal cord injury. Depending on the type of spinal cord injury, victims may suffer from paraplegia or quadriplegia, the latter of which can seriously limit how a person lives his or her life. Such accidents are tragic enough on their own, but when someone else is clearly at fault, it is only reasonable that victims receive compensation for their physical, emotional, and financial losses. If you or a loved one has suffered quadriplegia as a result of someone’s negligence, consider how a personal injury lawsuit can help you mitigate some of the damages. Quadriplegia is defined as the paralysis of one’s limbs and torso, as a result of illness or injury. Quadriplegia is the result of a damaged brain or spinal cord, typically occurring near the upper vertebrae. While most cases refer to the complete loss of movement and sensation below the neck, some instances allow victims limited movement in some areas. Regardless, quadriplegia renders victims unable to stand or walk, and greatly disrupts their daily activities. Even relatively simple tasks such as eating, washing, and getting dressed can be tremendous chores for quadriplegics if they are not adequately aided by technology or the assistance of another. Auto accidents: Drivers, passengers, and pedestrians may suffer spinal or brain injury from an accident, leaving them with permanent damage. When quadriplegia occurs due to such physical trauma, the damage is often difficult to repair or overcome. Slips and falls: Falls account for a large percentage of hospital trips and deaths every year, especially among older adults and in the workplace. Construction accidents: Construction sites are relatively hazardous on their own, but when companies or property owners do not take the right precautions, workers may be especially susceptible to a debilitating injury. Medical malpractice: Botched surgeries or diagnoses may cause permanent damage to one’s spine, resulting in quadriplegia. Alternatively, failure to address problems during pregnancy or birth may result in brain damage such as cerebral palsy. Before filing a lawsuit, one must look at who is potentially responsible for the victim’s damage. In auto accidents, for example, who was legally at fault for the collision? In the case of medical injury, did a doctor act responsibly or negligently? 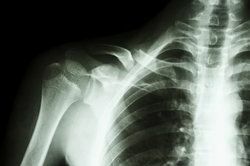 If we determine that the other party is indeed negligent in their actions or professional responsibilities, a personal injury lawsuit may be in order. Because quadriplegia is such a serious condition that greatly affects one’s quality of life, there are many areas in which one may be compensated. Medical bills and ongoing healthcare, including medication, personal assistance, and physical therapy, is a reasonable place to start. Additionally, victims may find that they are unable to continue working in their previous field, if they are able to work at all. In lieu of being able to maintain a career, we may also be able to compensate you for lost wages. Moreover, because nothing can truly replace the use of one’s body, additional compensation for pain and suffering can help offset the emotional damages from quadriplegia. Ultimately, we want to help you live as normally and comfortably as possible in light of tragedy; let our experienced attorneys work on your behalf. If you are curious whether a lawsuit is appropriate for your accident and injuries, meet with one of our knowledgeable attorneys at your convenience. Contact us to schedule an appointment and let us look into your case.